On October 26th, we will be hosting a military benefit for "family & friends freedom fund", a non-profit organization to help support injured military and their families. 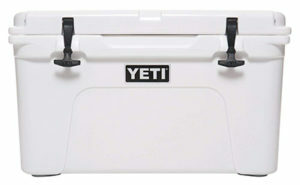 There will be raffles for great gifts, a tricky tray, and entertainment. Help support this worthwhile event. On October 27th, come to the TAVERN for our annual Halloween Party. Come costume or not! Prizes for best costumes Spooky drinks, and treats! Click here to see photos from our previous Halloween Parties! Come on down to the TAVERN for the live viewing party and Devils Podcast. 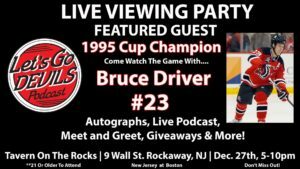 Bruce Driver #23, Stanley Cup Champion, will be here for the event. Happy New Year to all our friends from the staff of Tavern on the Rocks! Join us in ringing is the New Year TAVERN style. There will be hats, noisemakers, lots of good cheer, and a champagne toast at midnight and free food! Join us this Sunday at the TAVERN for our Superbowl Party. Cheer on your favorite team (or least favorite) with your friends and enjoy our complimentary buffet. Hope to see you here for the excitement of the football finale. Well, Sunday is America's favorite holiday!! Come on down to the TAVERN to get your Irish on and celebrate Saint Patrick's Day with us. Join the merriment with Irish music, corned beef, and of course beer. The party starts at noon and we hope to see you! ©2018 Tavern on the Rocks | 9 Wall St, Rockaway, NJ 07866 | (973) 625-8844.